In the absence of light, darkness prevails. There are things that go bump in the night, Agent Myers. Make no mistake about that. And we are the ones who bump back. Professor Trevor Broom in the movie "Hellboy"
This isn't a post on CAD of any kind, it's just a "cool technology" post. But every one of us has to be a proficient networker too. So this is something just to share about a technology application I find intriguing! Business cards... Someday, I'll find a stack of them next to all my socks that have been lost in the dryer. In the past, I've always misplaced or lost them. So I've learned to take a picture of them with my smartphone, then I throw the card away. It works, but when you think about it, it's pretty wasteful. 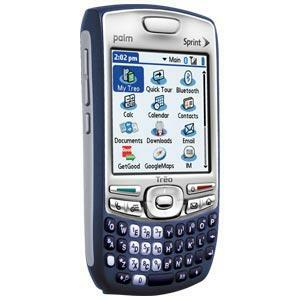 Once upon a time, I had a Treo smartphone. Compared to the current smartphones, that old Treo is like a black and white T.V. In my day, we couldn't zoom with fancy finger gestures. We had to squint! But it did have one feature I liked. I could beam contact information from one machine to another via an infrared port. It worked great! The downside was it only worked with other Treos. But I missed the functionality of shooting my contact info from phone to phone. Lately, I've been hearing about this new app out there. It helps you transfer contacts from one smartphone to another. It seemed interesting. But it was like a unicorn, rumored to be out there, but never seen. Then, one day listening to the radio, I hear about this elusive app. It's called "Bump". Tonight I finally downloaded it and installed it. I haven't used it yet. But I'm intrigued by it. 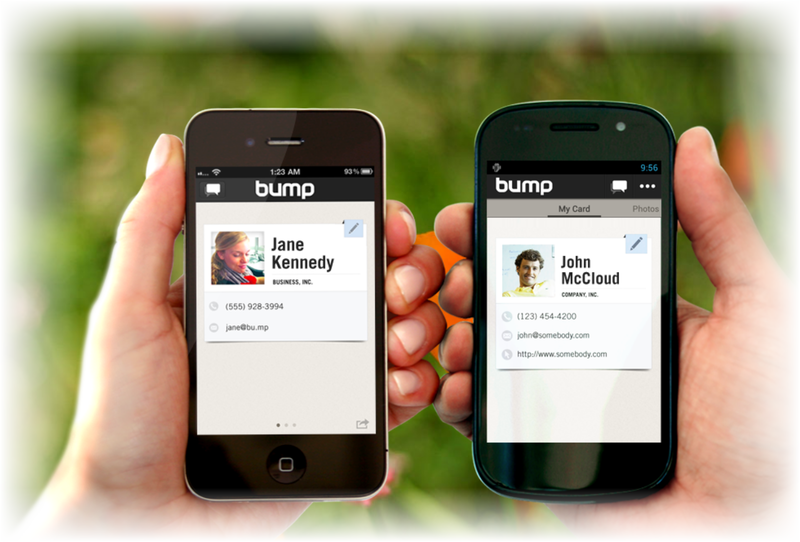 You bump your phone against another phone with Bump installed, and it transfers contacts, photos, even links to other apps from phone to phone. Wow, what's old is new again! The obvious downside is you can only use it between smartphones that have the bump app installed, but for me, I think it's worth having the option. So I'll keep you posted on how it works out. Sure, I may never use it and it'll just occupy space on my phone. But maybe, just maybe, it'll save me a little bit of time, and save the world from wasting a little bit of paper! Using the app? Drop a comment and let me know what you think of it? Maybe the next time you run into me at an event, we can pass virtual cards instead of paper cards!